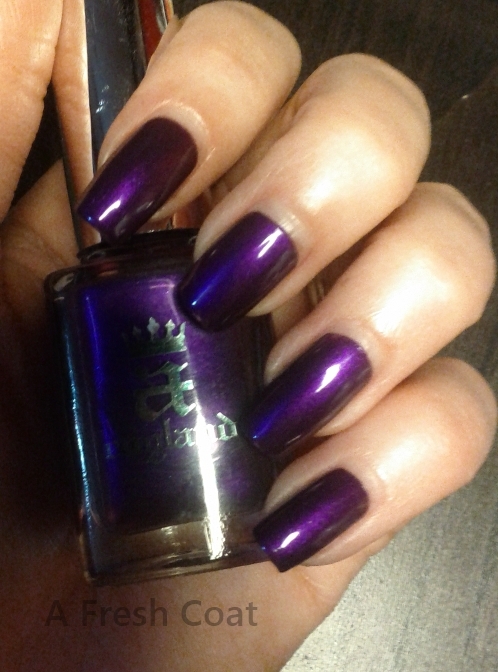 Today I have my second A England polish to share with you… Avalon! What a beautiful purple. The polish was easy to apply, especially since the brushes on A England polishes are smaller, which gives you more precision. 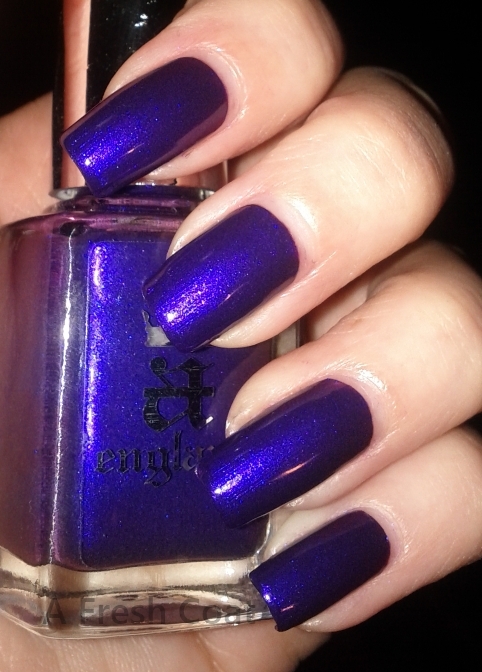 You defiantly need two coats of this polish to get the full intensity of the color. Also, the polish is very shinny on its own, but I recommend sealing it in with a top coat of your choice. Photos are shown with two coats of polish.